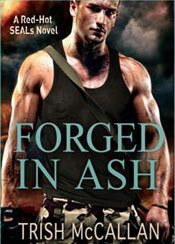 Author Trish McCallan » Forged in Ember is LIVE!! 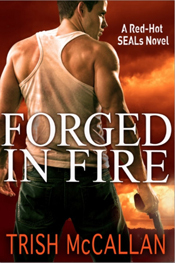 Forged in Ember is LIVE!! 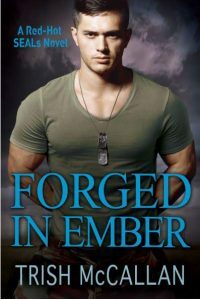 It seems like it’s taken forever, but the day has finally arrived—Forged in Ember, the long-awaited conclusion to the Red-Hot SEALs series, is finally available! If you haven’t had a chance to read the blurb, check it out! If you’d like to discuss Ember, or any of my other books, with Red-Hot SEAL fans, come join us at The Red-Hot Reviewers! 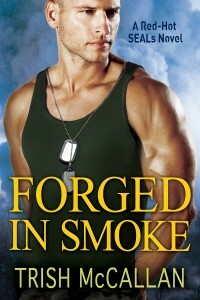 One thing I need to mention, since this news never made it into the back of Forged in Ember—is that Wolf’s and Jillian’s love story will continue through my upcoming Shadow Warriors series. Jillian is still too broken by the end of Ember to open herself to a new love, and relationship. Look for this series to launch in early 2019.